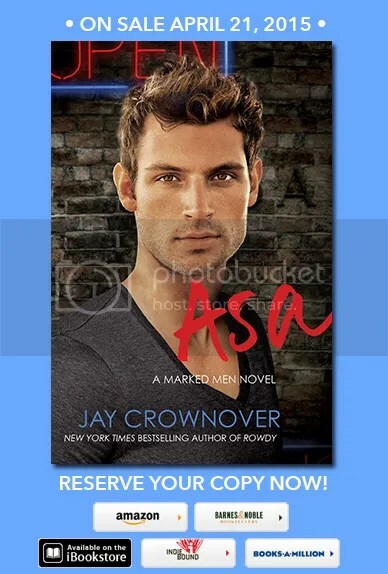 We are so excited about the cover reveal for Jay Crownover’s ASA! ASA is the sixth and final book in Jay’s Marked Men Series, published by HarperCollins. Check out the hot cover and don’t forget to pre-order your copy today! And don’t miss Jay at 3pm EST over at the Between The Covers page on Facebook today! Come chat with her!